You're at a drink reception- a man walks up, takes a piece of chewing gum from his mouth and restores it at his fingertips into a fresh stick with the wrapper on. You're sitting at a wedding breakfast - a guy comes up, wraps one of your beer bottles in newspaper and presses it 'through' the table. You're at a birthday party- it seems a guest has brought a pack of cards and is performing a few tricks. Suddenly, a signed card vanishes from the pack and is pulled from an iPhone- who is this guy?! These are just some of the possibilities if you book Renz for your event. He has one of the most varied and exciting repertoires of any working magician. Furthermore his rates are surprisingly reasonable and with a little bit of thought there will be a way of weaving his magic into the fabric of almost any event - after all, Renz is primarily a close-up magician and close- up magic is best suited to small groups of people, always involves a level of improvisation from the performer and thrives on spontaneity. It can be performed as people mingle at a drink reception, wait on their next course of a meal or visit the bar during the course of a celebration. Renz categorises the most common types of booking into: 'Dazzling Drink Reception' , 'Table-Top Miracles' and 'Perfect Party Guest'. Read more details about the other booking options below, followed by rates and the contact form should you wish to make an enquiry. Renz mixes with the guests as they arrive, amazing them as he works his way round the room. Suitable for weddings, charity events and corporate events. At a wedding celebration there is almost always a drink reception between the ceremony and beginning of the meal whilst the bridal party have their photos taken. A typical booking time for this is two hours to safely cover the drink reception duration and make sure Renz meets all the guests. At a corporate or charity event, this usually happens in the early evening as guests first arrive and mingle before taking their seats for dinner. The duration of such a drink reception is usually shorter - between 45 and 60 mins. The perfect meal accompaniment. Suitable for any event involving a meal of at least 2 courses. A wedding, charity event or corporate event will usually involve a 3 course meal. As people wait on courses to arrive , attendees can be kept entertained by Renz as he hops from table to table performing short magical interludes offering the perfect ice breaker and a great talking point. 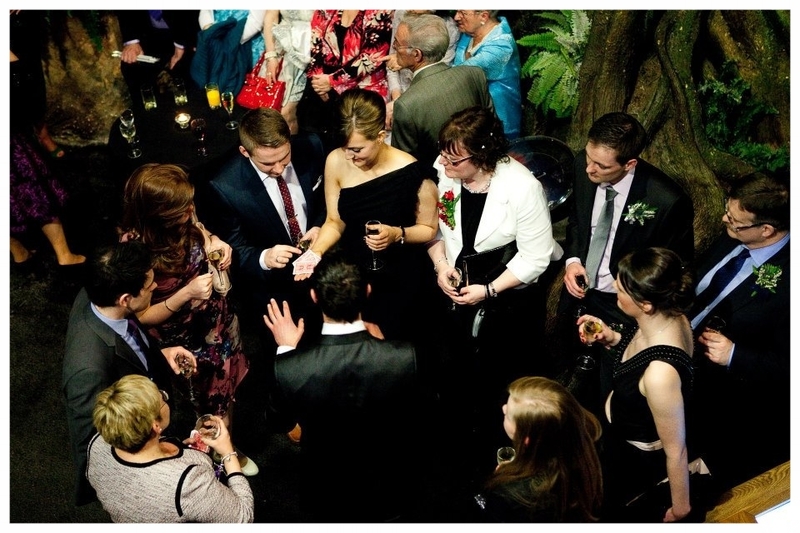 A booking optionfor slightly less formal events: birthday celebrations and engagement parties. Perhaps your event has no sit-down meal and no formal drink reception. For the first hour or so of such a celebration Renz can be your perfect party guests- he'll subtly mix and mingle with your guests showing them little miracles along the way. A really nice way to get your guests into the spirit of the night. The rates listed below can be taken as a guideline and apply to all booking options- Drink Reception, Tabletop and 'Perfect Party Guest'. 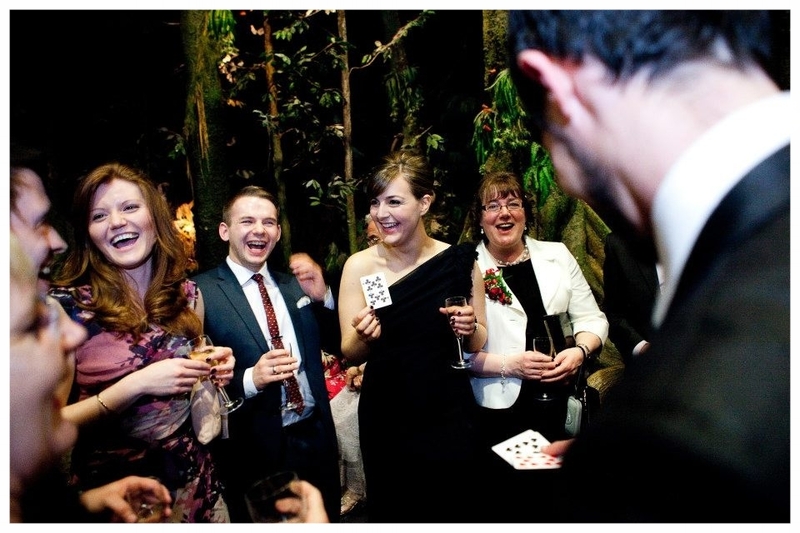 The most suitable booking time for most events involving 50 - 200 guests is the 90 - 120 min option (£335). Bear in mind that small discounts are offered under certain conditions. Travel fees can apply. For all day long enquiries, please get in touch to negotiate.If you're making an enquiry please give details of the location as a fuel fee may apply. If it's within Greater Glasgow there is no fuel fee but if it's further away there is a charge of 25p per mile travelled so for example Brig O Doon Hotel in Ayrshire - which is 40 miles from Glasgow- would incur a travel charge of £20, an event in Edinburgh city centre would be approximately £25 for the fuel fee. If your event is further afield (over 100 miles from Glasgow), please get in touch to negotiate travel arrangements and cost. Finally, if you're budget is stretched or the event is for charitable causes don't let the cost deter you. Local, last minute or off peak events are sometimes subject to a small discount. Discounts are also offered at wedding and trade fairs. Enquiry form below. Please include the type of event, date, and location.